Now decompress the shock and remove from the rig. 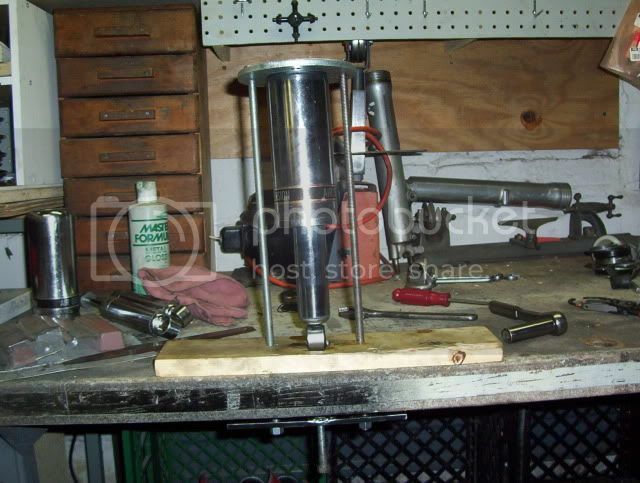 At this point the shock will come apart and look like this, only tours will be oily. 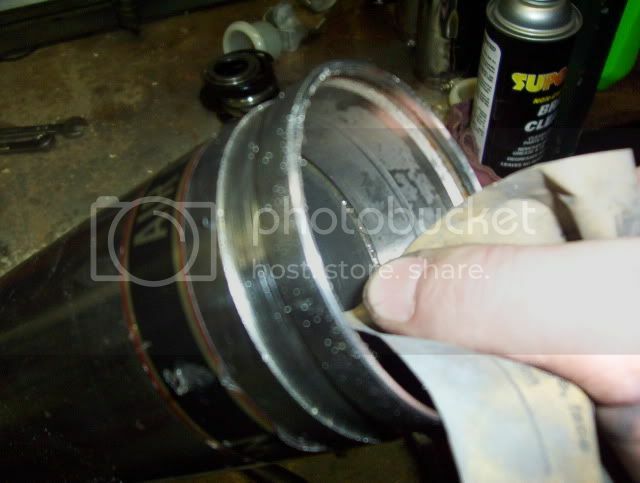 You will want to carefully inspect and clean the area of the canister where the seal goes. 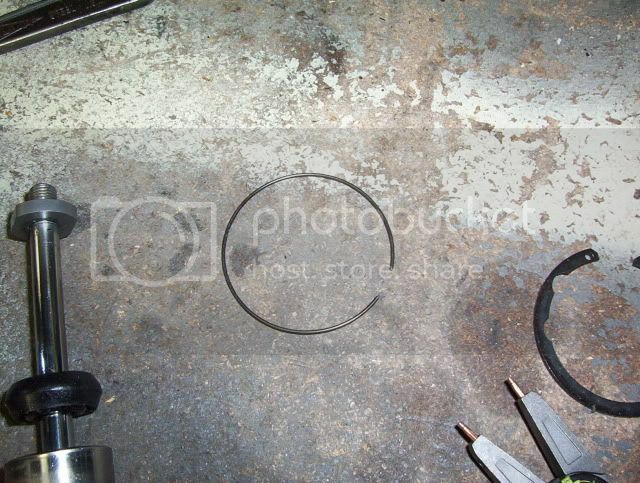 if it is dirty or damaged the seal will be damaged and leak. 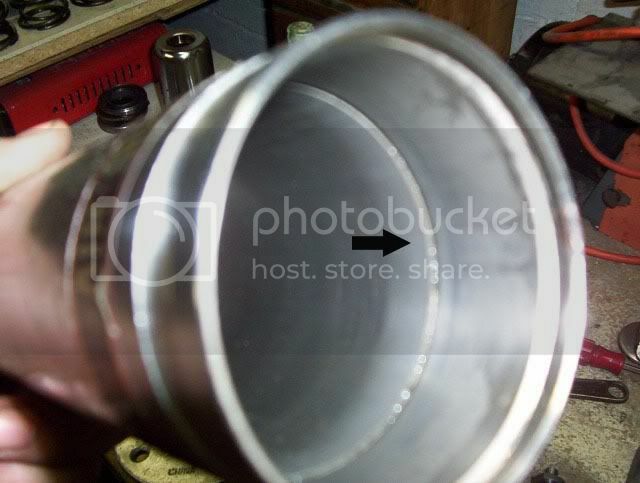 I did not use this canister in re-assembly because as you can see the seal area is pretty far gone. Ok so you are probably wondering where this thing goes. 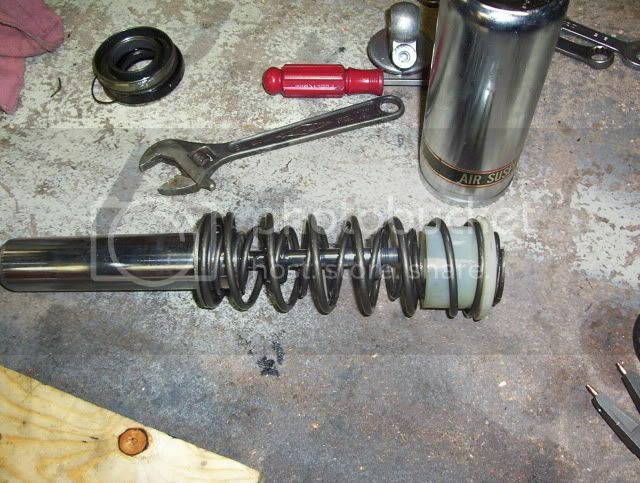 Replace the old worn out stock springs with your new Progressive ones and re-assemble. I didn't getting any shots of the re-assembly because my camera batteries died. It's pretty much just the reverse of the dis-assembly. Very good write up with great pictures. I don't think it could be any simpler to understand. Excellent write up and pics Broke Winger. Your set up is much fancier than mine. I used the large 2" flange modified like yours at the top and for the bottom used a smaller flange with a reducer and end cap. I only recently changed my springs and haven't had much of a chance to try them out. IIRC I'm running about 30# of air and it is a little firm one up but great two up. "ANY DAY ABOVE GROUND IS A GOOD DAY,ANY DAY YOU CAN RIDE IS A GREAT DAY"
Now see, if you had sent them to me to do like we talked about you wouldn't have learned a thing. And you wouldn't have had this nice tutorial to post.